When the spire went it was really sad. So much art and history in that building. That’s horrendous. Utter tragedy. All that history. All those stories. Gone in a few hours. Napolean crowned himself in that building. They started building it in 1163. 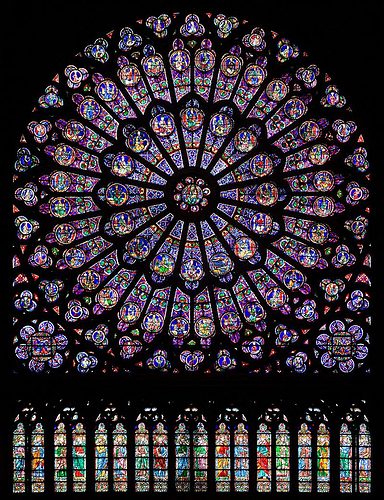 Plus the stained-glass windows were so beautiful. A little history… " Allied troops in front of the Notre-Dame de Paris, 1944. 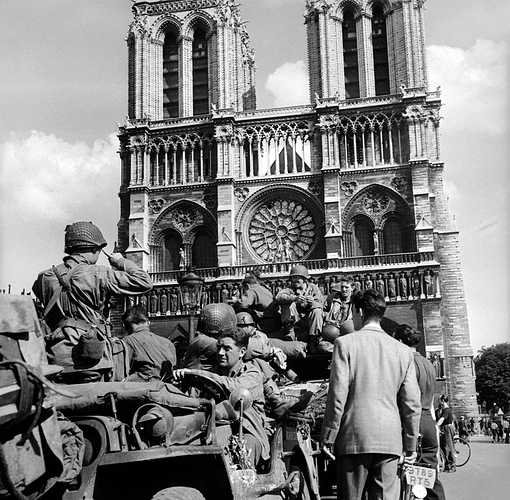 Since 1260, the Catholic cathedral has survived wars, revolutions, vandalism, storms, flooding, and near-demolition." Also, sorry guys for messing up Louvre with Notre-Dame, was putting the kids in bed and had a brain fart. It’s not really that easy, though. You’re talking about an 800+ year old building constructed of stone and massive heavy timbers, and while you’ll take every precaution possible (and I’m sure they did, as if you’re doing any sort of work in any kind of historical building or site of this kind of significance, there’s a LOT of liability, special certifications, and planning that goes into it), things happen. Unfortunately, in a building of this age and of this style of design, when they happen, they happen very quickly, and there’s not much you can do except try and protect as many lives as possible. Just got back home and saw it as a news item, which I initially thought was a hoax. Unbelievable. Even in tragedy there can be good news. Don’t let the crickets fool you Fearless. That was awesome! Quasimodo Renamed Hunchback of Nearby Holiday Inn. Oh thank God for that . Macron already has pledged he will rebuild and restore. His need for a ‘Grand Travail’ nicely coincides. 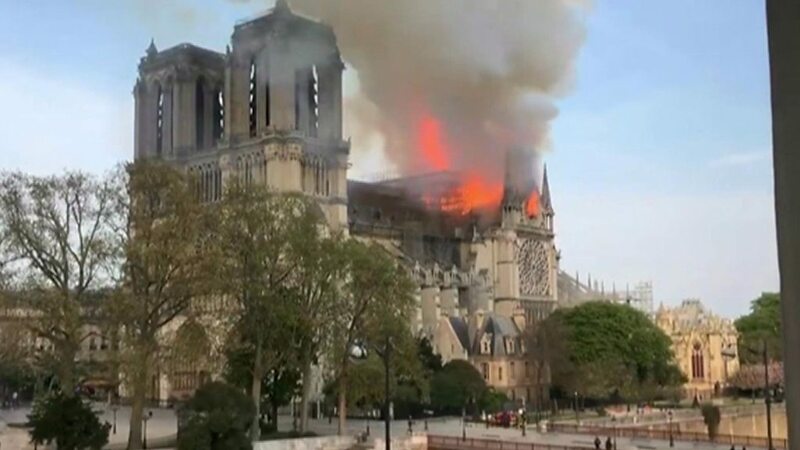 Perhaps this fire should be taken as a sign for the Vatican to change their stuff up a bit, perhaps loosen some of their more destructive rules up a bit. I showed some of the pictures to my son today, as he asked what a house on fire looks like a couple days ago. He was properly shocked and with his 6 years fully grasped the significance of the building and the fire. Sign? The Church only leases the building. It is owned by the French people. 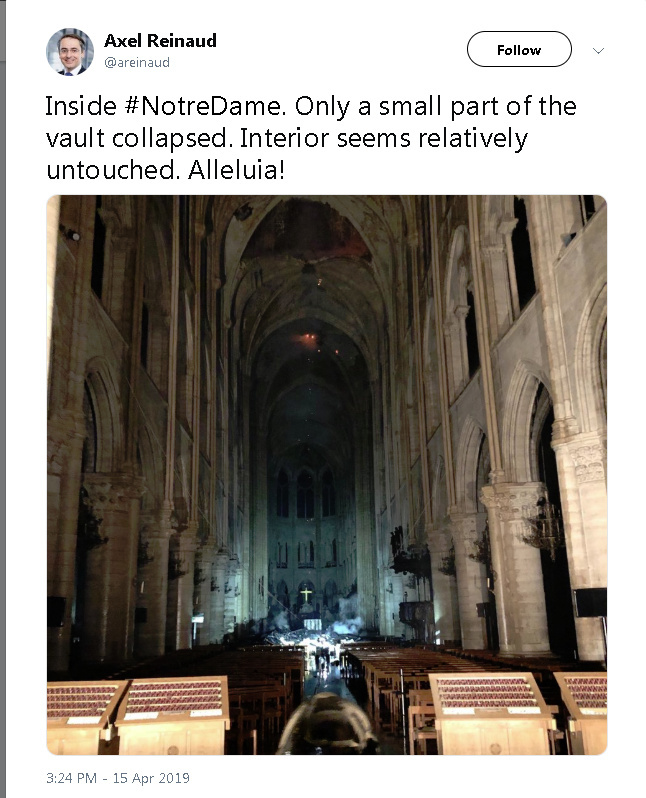 I visited Notre Dame when I was 7. It made quite an impression on me. 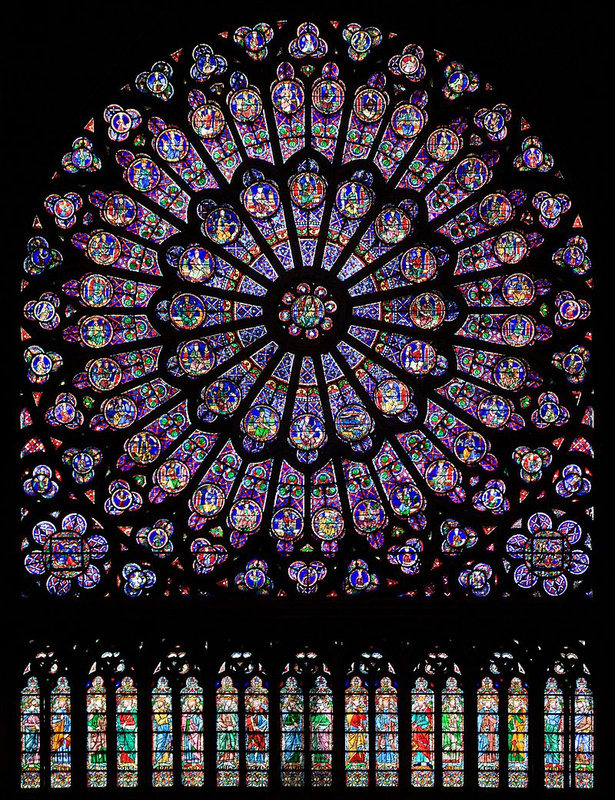 Especially the rose stained glass windows like the one @fearlessfrog posted. Not very logical of me since I was never going to be able to see it in person but it still makes me sad that opportunity no longer exists.